All about engine car’s air filters. The air filter is a very important component of the car because through it the engine is “breathing”. Every car has an air filter, starting with the oldest models, and all the filters have the same purpose: to clean the air before reaching the intake manifold and the engine. But not all the air filters are the same, aren’t looking the same and aren’t behaving the same. More than that, the air filter is one of the first components from under the hood that should be replaced if you desire a better performance. Here is everything you wish to know about the car’s air filters. Which exactly is the role of an air filter? Usually, the air filters for cars are made of a material such as cardboard, fiber or even cloth or sponge. Regardless the material is made of, the purpose of the filter is not letting the particles bigger than few microns to enter the engine together with the air. Usually, the air filters are made of a classic material which looks like cardboard, but which is porous in order to let the air to pass through it. More than that, the material is mounted in the frame in zigzag in order to create a larger surface of absorption. The air filters are positioned as the first element of an inlet path, before the debit meter, the throttle valve and the intake manifold. Usually, the filter in a series car is fitted in its plastic case, which has a hole positioned in a way that draws most of the air from outside. Air filters are normally rectangular, with a rubber sealing frame and are mounted horizontally. But there are also other forms of filters, depending on the car. The air filter: required or optional? Technically speaking, an engine would prefer not to draw its air through a filter. That’s because it’s like you draw your breath with a pillow in your face, meaning it will be harder. An engine would be “relieved” if it would not have the barrier of a filter when is breathing, but the risks are quite high. Any dust particle or other impurities can enter the engine, can overuse the plungers / pistons prematurely, can clog the catalyst. It means that the lack of an air filter which is very cheap can lead to some huge expenses. There are some few cases when the drivers choose to drive without the air filter, either in races either to impress the other people with the sound of the engine. It’s thrilling, but definitely is not healthy at all. Therefore, every car should have a filter, be it stock or sport. When you are changing the air filter in a car, you can really see what kind of dirt could make its way to your engine. But it would be good to change the air filter before your car will tell you that you need to do it. To be more precise, you need to do it together with the periodic review, not when your car can’t breathe. We’ve seen cases, unfortunately many, when the drivers were waiting for the air filter to become so dirty that the car barely worked. And as the air filter is such a common element, nobody was thinking that because of it the engine was barely working. What happens when the air filter is dirty? When is overly dirty, the engine starts to work weird. Is not sitting how it should be sitting in idle, the speed is oscillating, is not drawing properly and consumes excessively. This happens because is like keeping a hand tight to your mouth and you want to draw a breath – it’s hard, right? A very dirty air filter will have most of the pores clogged, and the air has no space to get through. The engine senses that is not getting enough air and will replace the lack of it with more fuel. Hence, the way of working which is not nice and a high consumption level. So, a dirty air filter can cause more problems than any driver could think of. And it is strange, because the air filter is maybe the most common piece of a car, the cheapest and most easily to replace even by a amateur. Sport air filters – myth or reality? The market is full of air filters so called “sport”, more or less colorful, shinier and more generous with horse powers. On some of them is even written that gives extra 10-20 horsepower! But that’s only for naïve people who think that if they change the filter, the car wines hundreds of extra horsepower. Various studies and tests with normal air filters and with sport ones had one result: conical air filters, or sport, give in rare cases 1-2 extra horsepower than the normal ones, never more. And this just in the case of high quality filters. Is possible that a sport low quality filter could give even more power because is made from a worse material which allows more particles to pass, but also more air. But that’s not good for the engine. Recognized filters such as the ones K&N are made of high quality materials, at least with the same density as the original ones from the factory, that doesn’t leave even the smallest particles of dust to pass, but offers a larger absorption surface. For example, a conical filter will draw the air through its middle, but also through its entire superior surface, while a rectangular one draws only by one side. So, the sport filters doesn’t have a material that allows more air to get to the engine, but they have a larger area through which the air could be drawn by the engine. And as a conclusion at the eternal question if the air filters gives more power, the answer is just one: not by themselves. I mean that if you want to feel some increase of the power of your engine, besides the air filter, you must also replace the route of intake and also the discharge. This way the engine will inhale air in a better way, but will also expire easier. How often are we replacing the air filter on our car? Unfortunately, in the cities with so much dust, is necessary to replace it at least once a year, regardless of the number of km we have. This happens because, even if the car is stationary, the dust is being deposited. But the good part is that the air filters are cheap for the most of the cars. How to replace the car air filter? Usually the air filter is encased in a black case that has a lid caught with a few clips or screws. Any air filter is positioned in such a way so it could be easily replaced by anyone, so we don’t need a visit to a service company for this operation. The cover that hides the air filter must be slightly raised, weakening few clips and the old filter will come out easily. Then we Introduce the new filter in place of the old one, taking care to put it with the indicated part downside. We put the clips back in place and our engine enjoys now fresh air. There are some inventive drivers who blow the old air filter with compressed air from the vulcanization, and then they put it back, thinking that they made some savings. But the dust particles that still remained in the porous material cardboard won’t get out by being blown away, so we are only fooling ourselves that we have a clean air filter when it is actually just as dirty. How to choose the air filter? If we have a stock car and we are looking for a filter to enter into the original case, we can go to any auto parts store. If the case of air filters, it is rare to find pieces that are not good, because the original ones are cheap anyway. Manufacturers such as Mahle or Mann offer good products. 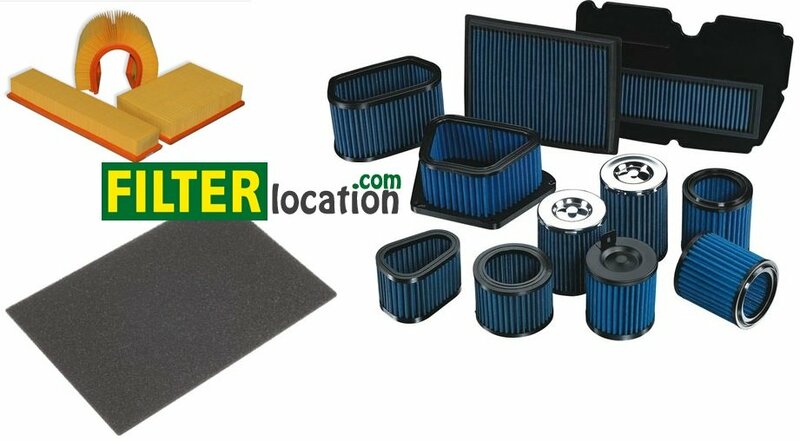 But if you want to mount some sport air filter, you will get more offers and the prices are higher. Pipercross, BMC or K & N filters are just a few manufacturers of sport filters. But those that are offering performance filters that can replace the OEM ones, in the original case, are few. If you want conical filters, then you will have from where to choose, but is good to know that is necessary to have a cold-air track and a cover to protect the conical filter. If you mount a conical filter on the original route is in vain if you don’t put it in such a way as to draw cold air, away from the engine heat. 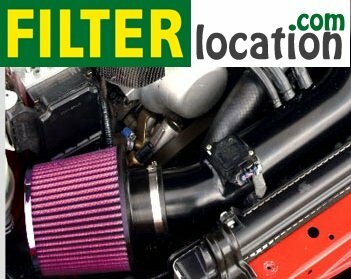 So if you want a normal filter for your car, you could choose from an original or an aftermarket brand, and if you want one sport, look for one recognized, tested and recommended by many manufacturers. Your car’s air filter is a very important element that lets your engine to pull in fresh air, thereby providing the safety and reliability you need. It is a cheap spare part that must be changed on time before other problems will arise. But as it is cheap, it is also essential for the smooth running of the engine. And the sport ones, on their own, do nothing extra, but as a combination with other changes in intake and exhaust, will give a better return than the stock ones. In addition, a sport filter that is not protected by original housing will have an aggressive sound and will look cool, giving the impression to the inexperienced people that under the hood are hiding a full group of horses. Anyway, make sure that you are changing the air filter when you should and you won’t have problems! Where is located GMC Denali cabin air filter?